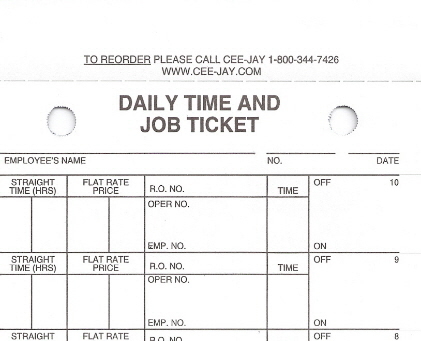 Record your employee's time and jobs with this daily time and job form. 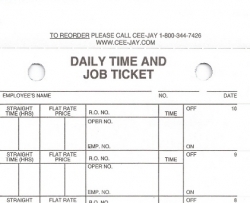 The Daily Time and job ticket has crack and peel stick labels on part one. Ideal for Service Departments and Repair Shops. 4-1/4" x 11" Crack and Peel! Part 3 is a 80 lb. white tag copy for employees.